The PIGs are desperate to kill the big, bag werewolf, who is just as desperate to remain alive. Prejudice between shifters and non-shifters has grown to impossible heights. To appease the numerous non-shifters, the king is forced to organize a militia called Primary Imperial Guards. The PIGS, though, have crossed the lines. For years, they have hunted the last werewolf with the hope of abolishing that line. But wolves eat pigs, and this werewolf is done hiding. He will stand up for himself, and he will not allow them to destroy any more of his houses. He will not die by their hands, or so Wilmont hopes. 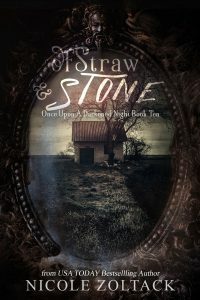 Of Straw and Stone includes the short story The Cost of Prejudice.